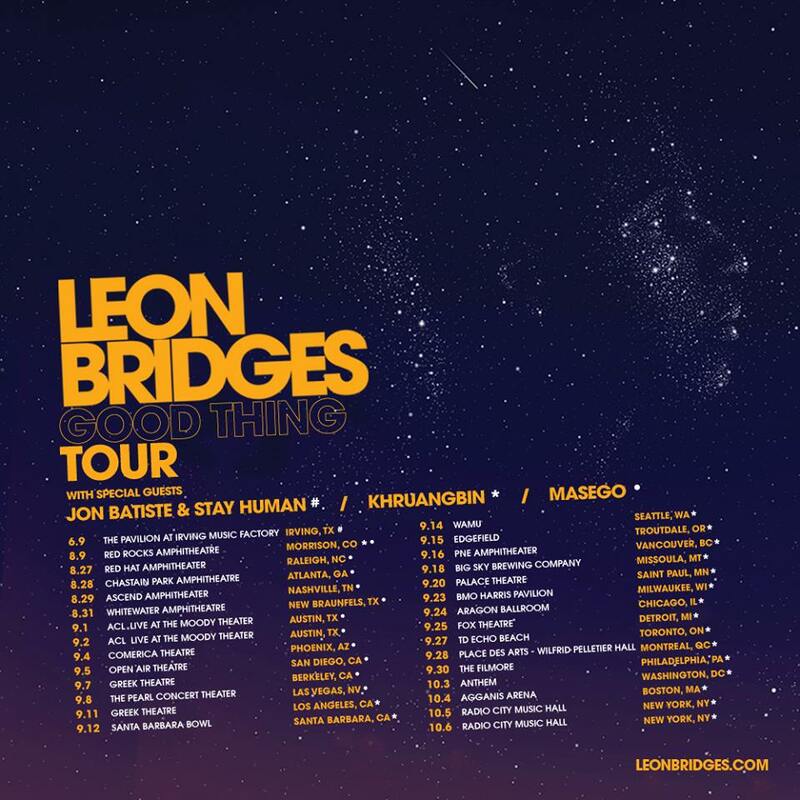 The R&B artist, Leon Bridges, has announced a U.S. tour, called the “Good Thing Tour”, for August through October. He will be touring in support of his newest album, Good Thing. Jon Batiste & Stay Human, Khruangbin, and Masego will join the tour, as support. You can check out the dates, details and poster, after the break.